Both poetry and prose have evolved over the last two-hundred years. In 1816 words were art, and they were frequently crafted into a piece as if you were decorating a house–the author placed them in such a way as to be artistic as well as impactful. Think Dickens, and Byron, and Mary Shelley. A random comment in another forum led me to think about poetry and prose, which of course, led to a blog post. Much of the time, modern poetry doesn’t rhyme. And even without rhyme, some authors write poetic narratives. But if it doesn’t rhyme, what makes poetry “poetic?” And where does it fit into modern prose? In his April 19, 2012 blog post for Harriet, (the Poetry Foundation’s blog for poetry and related news) titled The Difference Between Poetry and Prose, Martin Earl says a number of things. Well, that didn’t help. Taken individually, I understood each of the words that make up that sentence. Unfortunately, I didn’t understand what Mr. Earl intended to say by combining them so incomprehensibly. I realized I would need an interpreter. So I prevailed upon Stephen Swartz, author, and professor of English at a well-known university, who is also a good friend of mine. Now THAT made sense to me. However, I did find a portion of Martin Earl’s post to be understandable without the aid of my friendly neighborhood professor. Toward the middle, he explains the evolution of how poetry became prose, places it in a historical context and then explains that continued progression away from poetic prose in modern literature. That makes complete sense to me on a personal level. I can remember anything I can set to a rhyme, or make into a song. I believe using rhymes as mnemonics (which is defined as a memory device) is fundamental to human nature. We developed complex languages within our tribal communities while we were still in Africa, before the great diaspora. It was there in the earliest stages of our humanity that we gained the ability to describe the wider world to our children. With that, we had the capacity to understand and describe the motives of another person. We could explain the how and why of an incident. We saw the divine in every aspect of life and developed mythologies combining all of these concepts to explain the world around us and our place in it. We learned ways to memorize and pass on ideas as abstract as legends or sagas. Through those stories, we could learn larger lessons from the mistakes and heroism of our ancestors. My theory is that we developed poetry at the same time as we developed language. Every tribe, every culture that ever arose in our world had this same tradition of passing down stories and legends using rhyme and meter. Rhyme combined with repetition and rhythmic simplicity enabled us to remember and pass on wisdom to our children. In poetry, saying more with fewer words forces us to think on an abstract level. We have to choose our words based on the emotions they evoke, and the way they portray the environment around us. This is why I seem to gravitate to narratives written by authors who are also poets—the creative use of words elevates what could be mundane to a higher level of expression, and when it’s done well, the reader doesn’t consciously notice the prose, but they are moved by it. We have no need to memorize our cultural knowledge anymore, just as we no longer need the ability to accurately tally long strings of numbers in our head. We’ve begun to like our books with straightforward prose. Flowery language is no longer acceptable in the books we read. This is also true of modern poetry. The love of poetry continues, and new generations seek out the poems of the past while creating powerful poetry of their own. Authors craft incredible narratives, often without knowing they are poets. “It was night again. The Waystone Inn lay in silence, and it was a silence of three parts. That is some powerful prose. It is both straightforward, and poetic. That is where craft comes in. Choosing words for the emotions they evoke and the way they portray the environment the author has imagined is what lends great narrative prose its power. We can still appreciate beauty combined with impact when it comes to our prose. Some fantasy qualifies as literary fiction because of the way in which the story is delivered. Quote: There once was a young man who wished to gain his hearts desire. Our story starts in the village of Wall, a tiny town about a night’s drive from London. A giant wall stands next to the town, giving it its name. There’s only one spot to pass through this huge grey rock wall, and it’s always guarded by two villagers at a time, and they are vigilant at their task. This is peculiar, because all one can see through the break in the wall is meadows and trees. It looks as if nothing frightening or strange could be happening there, but no one is allowed to go through the break in the wall. omg! Did he really do that? What was he thinking, starting a fantasy novel with a TELLING, PASSIVE sentence followed by an info dump? To answer your question, he thought he was offering up a good story, and guess what? HE WAS! And he did it with beautiful, immersive prose. Who else writes great prose? Patrick Rothfuss, for one. 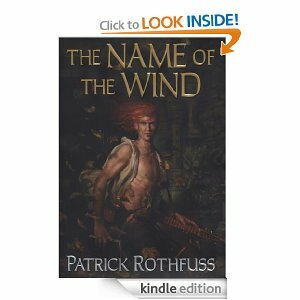 Take the first lines of The Name of the Wind. Quote: It was night again. The Waystone Inn lay in silence, and it was a silence of three parts. (quote) If this story is to be something resembling my book of deeds, we must begin at the beginning. At the heart of who I truly am. To do this, you must remember that before I was anything else, I was one of the Edema Ruh. When we write, we are writing because we have a story to tell. (Yes, I said tell). To that end, every word must count, every idea must be conveyed with meaningful words, and sometimes you can just have a little fun with it. 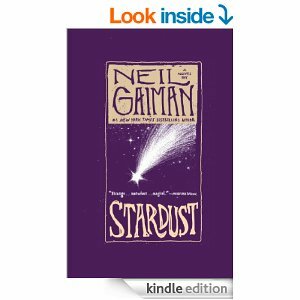 In the opening lines of Gaiman’s Stardust, nothing unimportant is mentioned although the prose meanders in a literary way. Yes, he takes the long way, but the attitudes, mores, and personalities of Tristam’s village are conveyed with humor and the journey is the best part of this fairytale. He never devolves into purple prose. Of course you are not going to devolve into sticky-sweet goo in your attempts to show the mood and atmosphere. 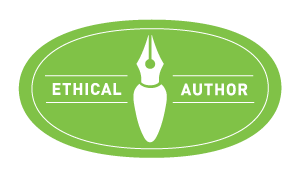 But please, if I may use a cliché here, don’t “throw the baby out with the bathwater.” Lean prose with well chosen imagery will express your ideas in such a way that the reader can hang their imagination on your words. In direct contrast to Gaiman’s lighthearted opening prose in Stardust, the opening lines of Rothfuss’ The Name of the Wind, are dark and heavy with portent. Rothfuss sets the mood, and conveys the subtle power kept restrained by Kote/Kvote, and he uses this atmosphere to drive the tale. Both Rothfuss and Gaiman use words chosen for their imagery. Gaiman’s story is told with sardonic humor, which makes it all the darker, and Rothfuss’ prose evokes the dark of nightmares. They write with widely different styles, but both books are dark, both books are fantasy, and both books moved me. Both authors write so well that the internet is rife with haters and trolls who can’t wait to trash their next book. THAT, sadly, is the mark of success, or genius, in today’s world of fanatics in dark rooms, armed with a rigid idea of what fantasy should be, and waging war via the internet on authors who dare to write outside those boundaries . Write from your heart, and dare to write what moves you. Think about the rush of “yeah, this is it!” that you get when you read a piece that takes you out of this world and changes your life for a few brief moments. That author knows something about the craft, or you would not have been so moved by it. Study the prose of those whose work shocks, rocks, and shakes you. 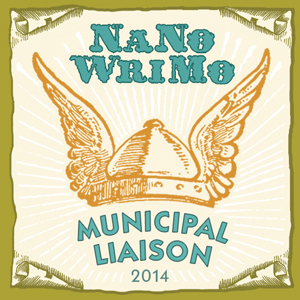 See how they craft the sentences, and form the moods and emotions that drive the plot. Learn from them how to show the true character of a protagonist, or the smell of an alley by the wharves. Read, and then apply what you’ve learned from the masters to your own work. Some authors write so well you live the work with them. I love that when that happens. I’ve been reading a lot, as you probably know, and I love to talk about what I have recently read. I have to say, I loved his cover, also. It totally reflects his style of writing, beautiful, harsh and mysterious. I had been in wacky mood for a couple of weeks. During that time I also read Brawn Stroker’s Dragula” By Nicole Antonia Carro. 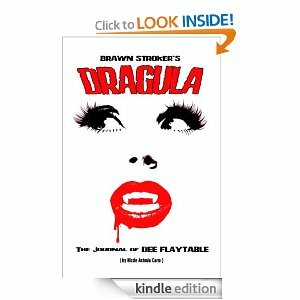 Was I surprised: “I bought Brawn Stroker’s Dragula, by indie author Nicole Antonia Carro on a whim. When I read the title, I was expecting something incredibly camp and lightweight, but that is certainly not what I got. Instead, I found a tale full of people I could call friends, and situations I hope my friends never find themselves in!” I absolutely enjoyed the book. As everyone knows, I love indie authors, but I also love certain authors whose work I’ve been following since long before the indie option was even thought of. One of those authors is Tad Williams. 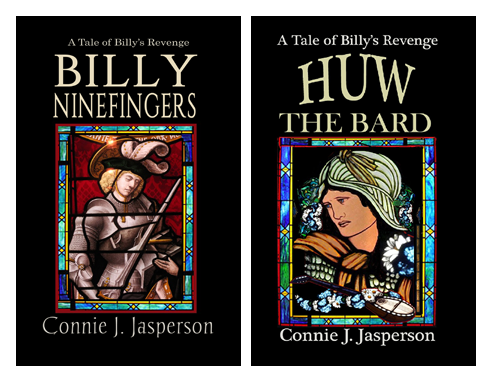 He is famous for writing one of the most enduring fantasy series ever, Memory, Sorrow and Thorn, but he also has written some excellent urban fantasy. His style is hard-edged. A few weeks ago I read “Happy Hour in Hell, Book 2 of Bobby Dollar.” I had this to say about it: “Okay, now we are talking deep. 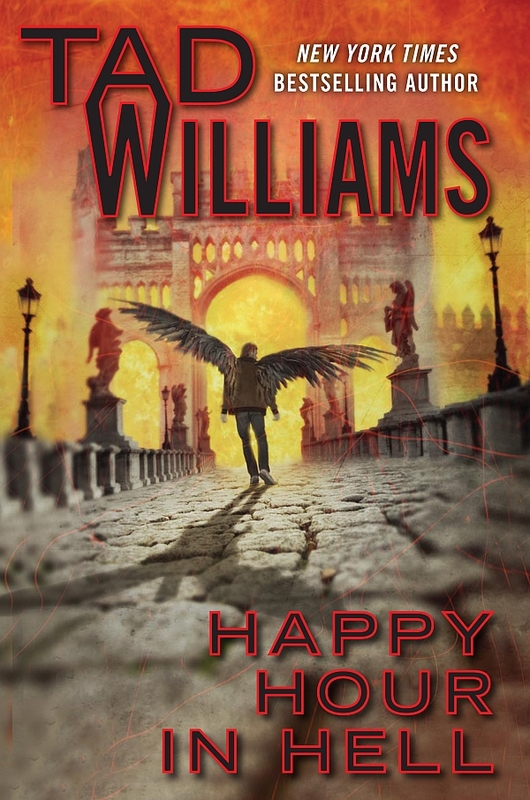 Happy Hour In Hell (Bobby Dollar 2), by Tad Williams takes us from the bowels of Heaven to the heart of Hell, and its a rough ride, and a heck of a good story…. If you like your angels as painted by Michelangelo, you are in the wrong place. Bobby isn’t that sort of an angel. Bobby gets in and does Heaven’s dirty work with his bare hands. He’s a hard-boiled detective, a bad-boy, and he’s the sort of angel my mother warned me about. But he’s also just the sort of angel you want on your side when you suddenly find yourself dead, and your soul is being judged.” That is one entertaining book. 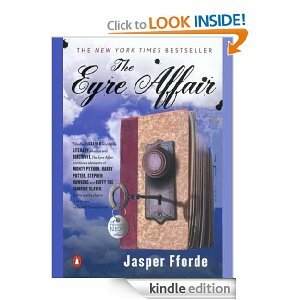 I love Audible books, and have been listening to a lot of great books. In fact, I’ve been following a serial posted on BigWorldNetwork.com, an affordable source of online reading. The website bills itself a s cross between TV and Books, and I really like it. I think this type of publisher will be a big factor in the shape of the industry over the next decade. They have talented authors, and you can either read OR listen to it being read on-line all you want for $3.00 a month subscription The series I have been following is The Cold, by local Olympia area author, Aura Burrows, who is also a friend of mine. I am into episode three now, and this tale is gripping. I love the way the reader, Willow Wood, tells it. In fact, I plan to indulge in two or three more episodes today, once I have my work done! I have another friend, Joan Hazel, with a book launching on Wednesday. She has written the second installment in her paranormal romance series on shape-shifters, this one titled “Burdens of a Saint”. It launches Wednesday, and she has kindly agreed to talk about writing, and will be herewith me. My reading schedule is jam-packed, and that’s the way I like it. Nothing like a good dose of fantasy to keep me busy! I hope you are finding plenty to love in what you are reading.